Twitter Inc (NYSE:TWTR) is keen on winning advertisers to use its platform, and the social media network’s latest effort towards that goal is through a presentation made at the International Consumer Electronics Show in Las Vegas. Through the “Tweet Suite”, which is actually a hotel suite decked with Twitter’s bird logos as well as giant screens for visuals, Twitter Inc (NYSE:TWTR) has hosted an audience of advertisers and advertising agencies, numbering more than 150. According to Twitter VP of brand strategy Joel Lunenfeld, the company wants to reach out to advertisers with a new message, that of how videos can be leveraged to tell stories on Twitter, as well as data supporting Twitter as the best platform for video. Using the interactive screens, Lunenfeld demonstrated how Twitter can see through conversations with analytics such as conversation topics, geographies, demographics, and even users’ device and operating systems. Lunenfeld also emphasized a study by Nielsen concluding that people who see videos on Twitter Inc (NYSE:TWTR) are more likely to smile and have more intent to purchase, at the rate of 28 percent as compared to other online video platforms. 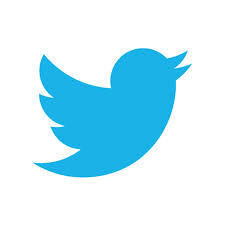 The social media network also noted that the reach of Twitter extend beyond its 284 million user base. Twitter Inc (NYSE:TWTR) have been working to allay concerns about profitability, with the company sustaining a loss of $174.5 million in the third quarter of last year. For instance, in November the previous year, it introduced new features to attract new users to the platform. Also in September last year, it introduced direct response ads that allows users to buy goods advertised within the system. Another area it strengthened is mobile advertising, by which it allows advertisers to carry ads that can target mobile OS, WiFi connection, device, mobile carriers, and even new users with new mobile devices.